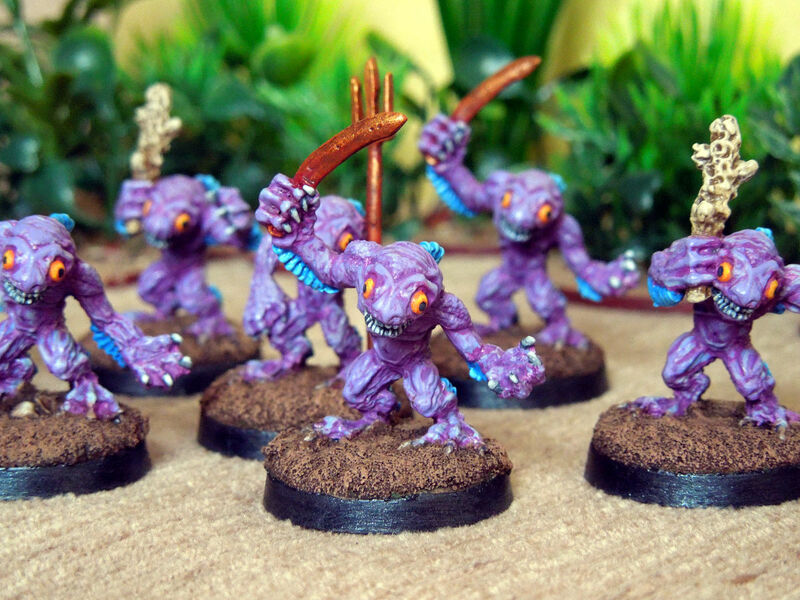 From the depths of the earth the dreaded Kuo-Toa! 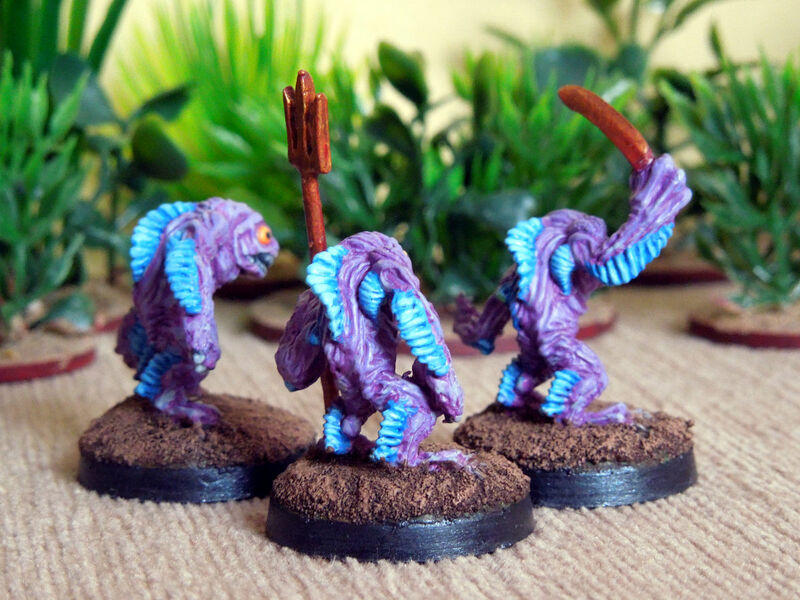 From their origins deep in AD&D lore the Kuo-Toans were the titular enemy of the classic module D3 Shrine of the Kuo-Toa. 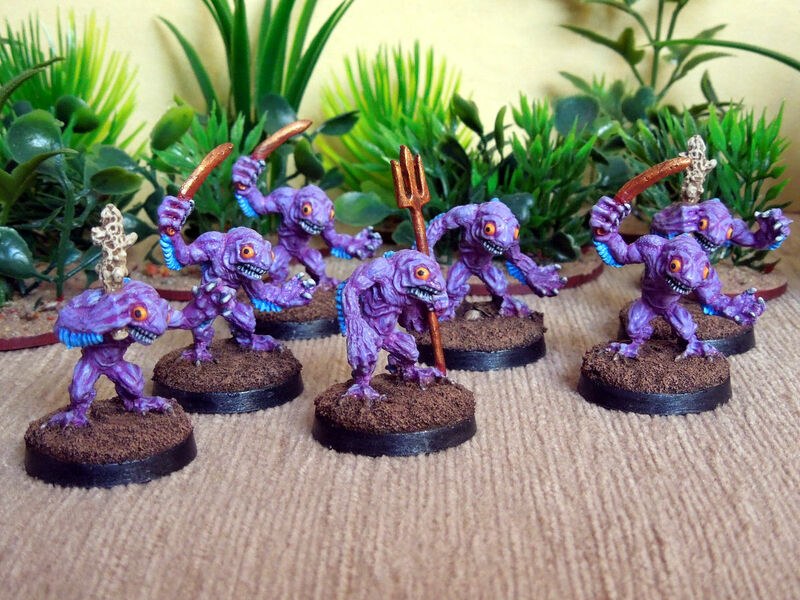 Blood sacrificing ‘fishmen’ whole temple complex must be overcome in order of the PC’s to found the Vault of the Drow. 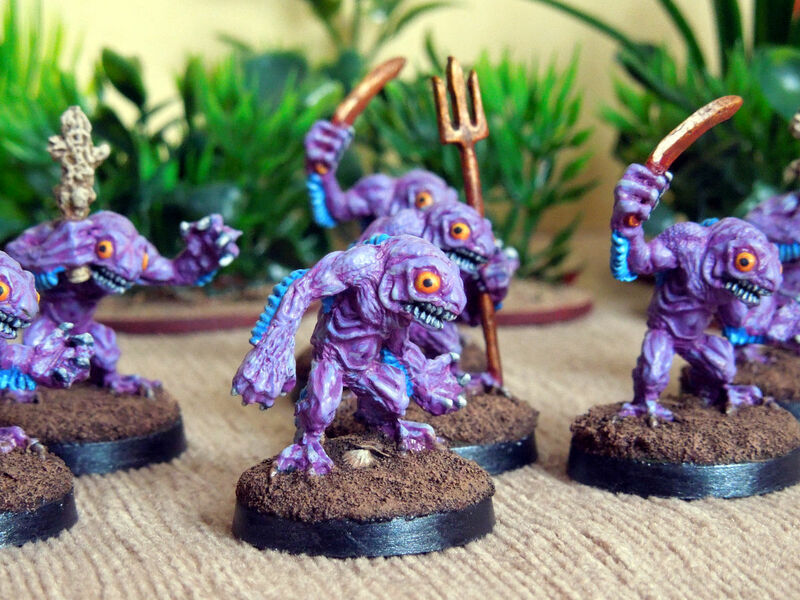 These fishmen and their god Blibdoolpoolp would reemerge as a key player in 5th ed D&D campaign Into the Abyss. 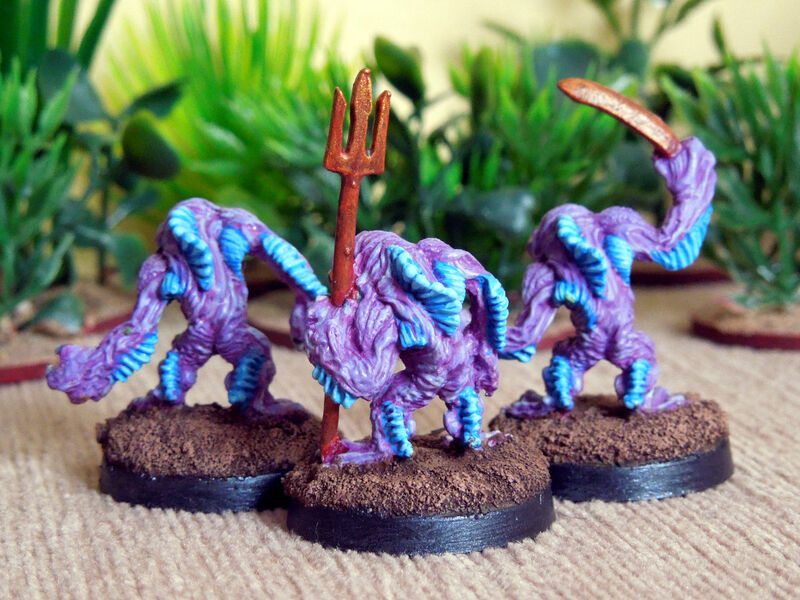 These Grenadier castings, sculpted by John Dennett are actually Deep Ones from their Call of Cthulhu range but make for perfect proxies. 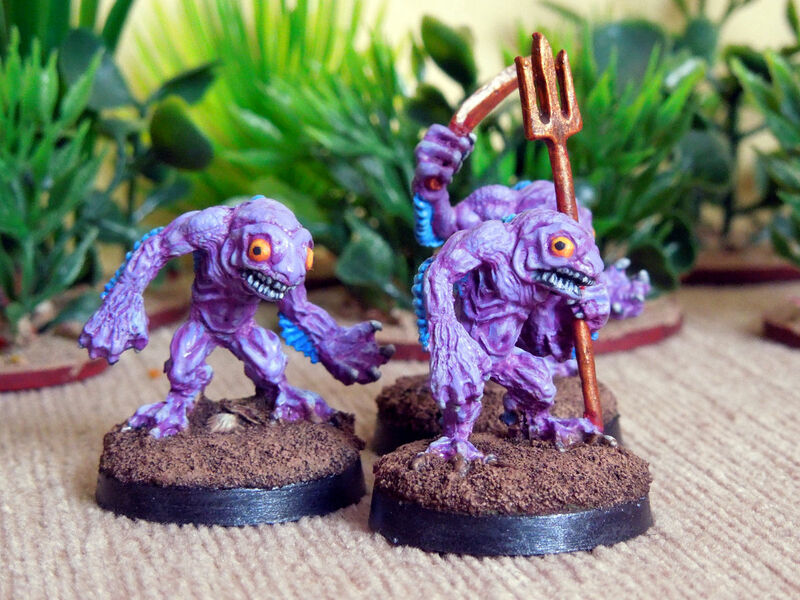 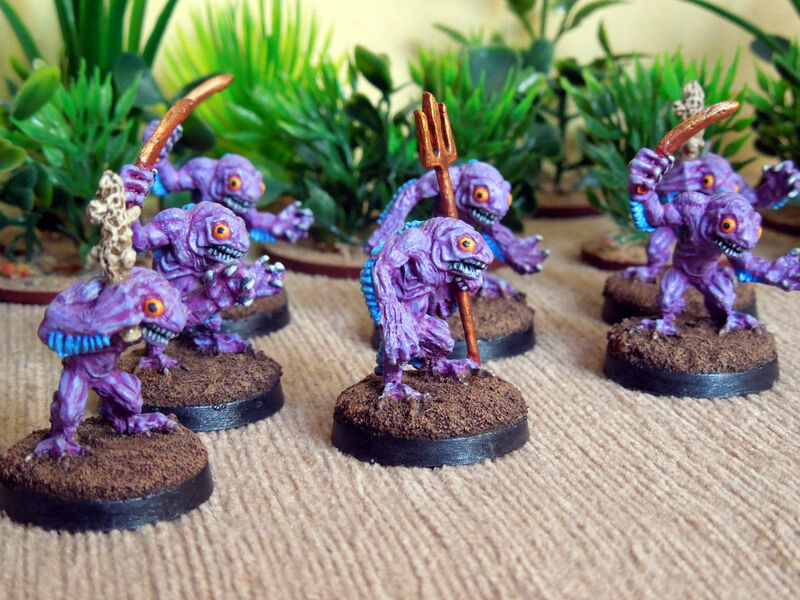 These are still available from Mirliton Miniatures’ Nightmares range.